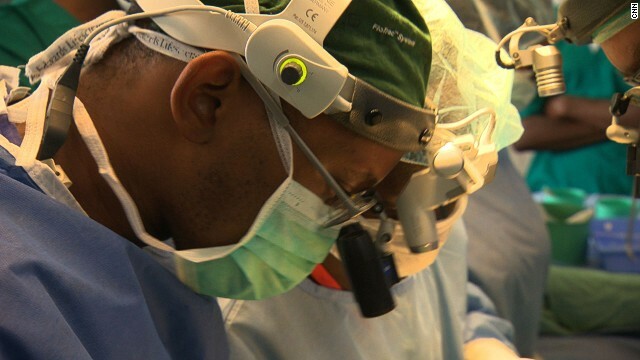 Godwin Godfrey is Tanzania's only children's heart surgeon. 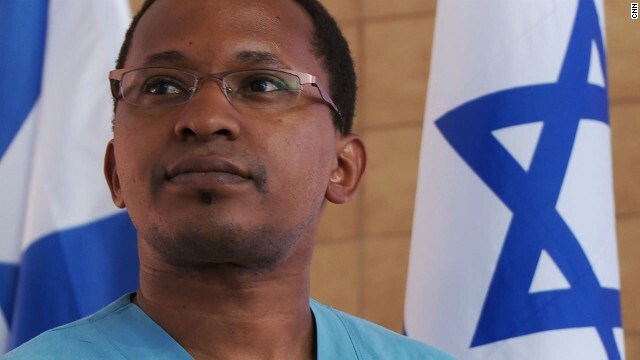 The young doctor received five years of training in Israel before heading back to Tanzania to help save the lives of children in need. While in Israel, he worked with Save a Child's Heart, a group aiming to improve pediatric cardiac care for children from developing countries. Godfrey says his goal now is to build a strong Tanzanian team that will be able to help as many as children in the country as possible. (CNN) -- The masked man had already cut her chest open when the lights went off, plunging the entire room into darkness. This was not good. In fact, it was downright dangerous. A power outage is probably the last thing anyone would want to happen midway through surgery, let alone while performing the delicate task of closing a hole inside the heart of a six-year-old girl. But Dr Godwin Godfrey and his team had come prepared. "We knew that we always have power cuts in the hospital -- they can happen at any time, even at night -- so we had prepared a back-up manual handle that we could use to run the pump by hand," says Godfrey, who works at the Bugando Medical Center in Mwanza, north Tanzania. 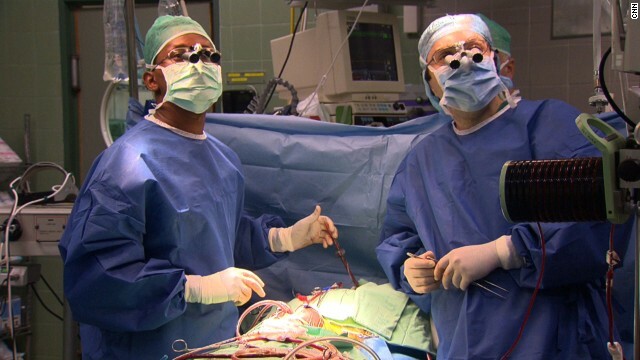 A reliable and constant electricity supply is crucial when performing open heart surgery -- the procedure is done under general anesthesia and requires the use of an electrically powered machine that acts as the patient's heart and lung. Somebody has to do something -- and this is one of the reasons I came back. Godfrey and his team also knew that it usually takes several seconds for the hospital's back-up generator to kick in after a power failure. Therefore, they'd previously connected the heart-lung and anesthesia machines to an uninterruptible power supply in case of an emergency. "Even though all the lights in the operating room went off, the machines themselves were still working," recalls the young doctor. "So this was what actually saved us that day." That day was late last month, right after Godfrey had returned to Tanzania from Israel with a skill no one else in his country has. Following five years of intense training, Godfrey is now Tanzania's only pediatric heart surgeon capable of carrying out open heart surgeries on small children. Upon his arrival, he started operating on young children, including six-year-old Merina, with the assistance of the Israeli team who'd trained him. "Although we had all these problems in the surgery, the child recovered very well and she left the intensive care unit the next day," says Godfrey about Merina. "So this was very good." 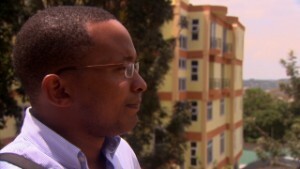 The son of a doctor, Godfrey grew up in Moshi, a beautiful small town nestled on the foothills of Mount Kilimanjaro. He went on to become a doctor himself and started practicing about seven years ago, setting his mind to becoming a plastic surgeon. But at that time a Tanzanian surgeon who'd returned home from the UK, with the aim of starting a cardiac center, recruited Godfrey to his team. "It's when I started working with him that I realized that ... in Tanzania we really don't have so much need for plastic surgery," says Godfrey. "I realized children are the ones who are suffering most in Africa -- we have so many children with heart diseases dying without any care and those few lucky ones the government gets to send them abroad for surgery," he adds. Determined to make a difference, Godfrey approached doctors visiting the hospital, asking them to help him find a way to create a Tanzanian team that could do pediatric heart surgery. Eventually, he got in touch with Save a Child's Heart, an Israeli organization providing heart surgeries and care to children from developing countries. After securing funding, Godfrey headed to Israel where he trained for five years with Save A Child's Heart before returning to Tanzania and putting his life-saving knowledge to use. "Somebody has to do something -- and this is one of the reasons I came back," says Godfrey. "But do I feel confident that I will be able to build a good department and a good team? Well not really," he readily admits. "So I am also very terrified of the fact that I am worried that I may not be able to build this good team. But again, it's this worry which will keep me up on my feet every day trying to push a little bit harder." When it comes to impoverished African nations, the focus often tends to be on AIDS, malnutrition and malaria. But there are a multitude of other medical conditions that require urgent attention, such as children's heart problems. 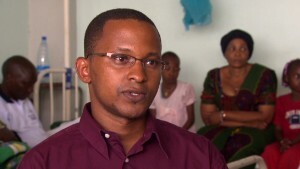 In Tanzania's largest referral and teaching hospital, some 300 children a year await surgery. There are thousands more in need across the country. We have so many children with heart diseases, dying without any care. Read this: African midwife, Nobel Peace Prize? 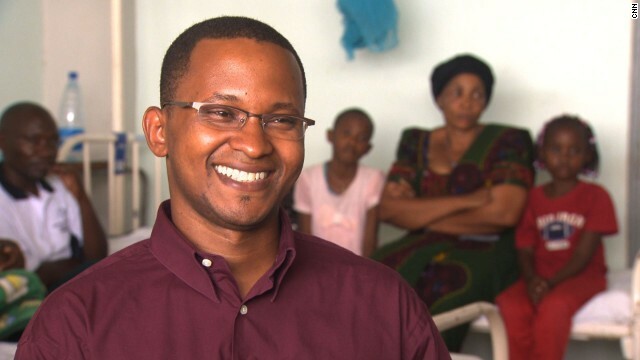 Godfrey says there are, at best, just 5,000 doctors in Tanzania, a country where more than 70% of the 45 million-population lives in villages, often far from hospitals or equipped medical centers. He says this puts a "big burden" on doctors who often have to work under extremely challenging conditions. "Many doctors don't want to even go out of the big cities," he explains. "Every doctor wants to work in a place where there's at least some medication, there's even a ward ... that they can also provide this kind of care. Now going to the village with all the knowledge that you've acquired and you still cannot manage to do anything -- these are places no doctor wants to go." Inside the Bugando Medical Center, the overwhelming need for doctors and trained medical personnel is evident. At the hospital's children's ward, the beds are occupied at all times by two, sometimes three, very sick children, while young patients with heart problems and their families lie on benches outside examining rooms. It's a far cry from the wards where Godfrey trained in Israel. "Working in Israel," says Godfrey, "one of the things that struck me most at the beginning was that we could spend six months and not even see one child dying, while here in a day, one pediatric admission, we could see even five, sometimes up to seven, children dying," he adds. "You realize that we still have a very long way to go." But despite all the challenges, Godfrey is determined to continue his life-saving efforts and build a team that would heal as many of Tanzania's broken hearts as possible. "Now I am even thinking of the ways to push my department forward," says Godfrey. "I know I don't have a complete team yet, some are still in training back in Israel, but it is my hope in the next few years that we will have a complete team, if everything goes well." Through a variety of exhibitions including one signed off by the artist himself, Nigeria is presenting J.D. Okhai Ojeikere to the world one last time. With the help of an army of Tanzania's finest senior citizens, one woman is on a mission to put traditional foods back on the menu. U.S. response to Ebola is key for setting global example, writes global health advocate Idris Ayodeji Bello. Using his deep-rooted knowlege of herbs, savvy entrepreneur Alhaji Mustapha Oti Boateng had an idea to help his fellow Ghanaians. 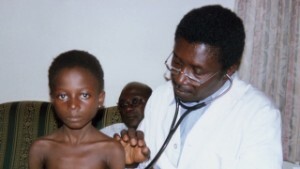 One of the most debilitating medical conditions in sub-Saharan Africa isn't fatal. In fact, it's easily curable. Nigerian architect Olajumoke Adenowo reveals her tips for success, mentorship and what she'd like to do next. Who's entitled to speak for Africa? Pius Adesanmi: Activist diaspora insists on her story of Africa -- and social media has enhanced its voice. 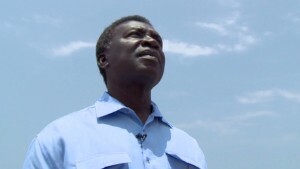 Amos Wekesa has seen a lot of changes in his country. Today, the self-made millionaire oversees Great Lakes Safaris, one of the largest tour operators in Uganda. In the largely male-dominated world of the motorsport, South African superbike racer Janine Davies is an anomaly. For anyone that needs convincing that African art is the next big thing, they need look no further than 1:54, the London-based contemporary African art fair. He's one of Malawi's best abstract artists and now the 40-year-old dreamer is revealing his journey in to the world of art. Each week African Voices brings you inspiring and compelling profiles of Africans across the continent and around the world.